Tweaking the current formula will also improve performance time by expanding the duration between charges. German chemistry company BASF (ETR:BAS) is planning on jolting the electric vehicle industry with a brand new battery formula, which relies less on pricey nickel. Tweaking the current formula will also improve performance time by expanding the duration between charges, allowing customers to drive further off of each charge. Currently BASF and other leaders in electric vehicle manufacturing are working to reduce the amount of cobalt in batteries destined for electric vehicles. However, word is the companies are also working on a battery formula that will be less reliant on expensive cobalt and nickel, and will instead use abundant and affordable manganese. The German company’s end goal is to develop a model that uses 5 percent or less of cobalt. According to a presentation attended by Reuters in 2017, starting in 2021 BASF-designed cathodes will be comprised of 20 percent nickel and 70 percent manganese. Adjusting the formula is expected to drive down the cost to store energy in the batteries to well below US$40 dollars per kWh, down from the over US$50 per kWh, that it presently is. Currently, nickel, which is primarily used as an alloy in stainless steel manufacturing, costs roughly one fifth the price of cobalt. However, BASF estimates the price will increase as more car manufacturers begin switching out older traditional models, for new hybrid, EV and zero emissions vehicles. 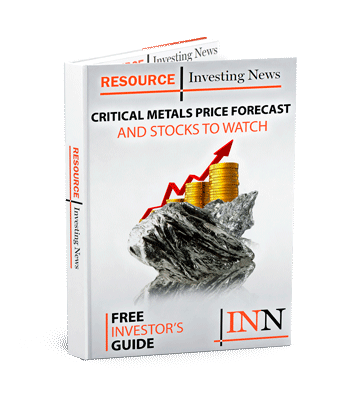 The chemistry-focused company estimates demand for high-grade nickel, the kind used in EV cathodes, will balloon from 25,000 tonnes in in 2016, to 318,000 tonnes in 2025. BASF has picked an advantageous time to decide to redevelop the EV battery. Earlier today (November 26), General Motors (NYSE:GM), one of the largest automotive companies in the US, announced it was ending production at its plants in Oshawa, Detroit, Ohio, Maryland and Michigan as part of a wide spread overhaul of the company’s focus and goals. The US automaker has decide to shift away from traditional gas vehicles and will now manufacture electric and zero emissions vehicles. The American automaker plans to launch 20 brand new electric vehicle models by 2023. In the meantime, BASF will build a cathode factory in Finland while assessing several European locations for follow-up investments. Get the latest information about companies associated with Manganese Investing Delivered directly to your inbox.